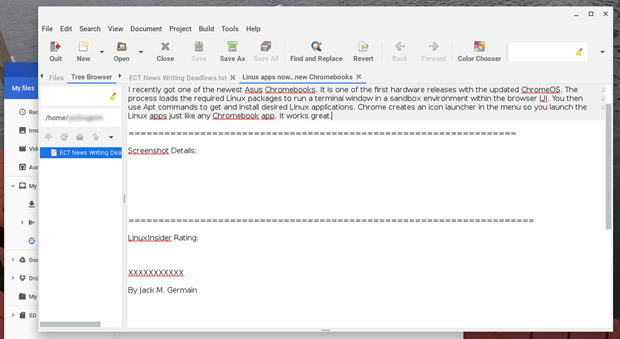 Linux apps now can run in a Chromebook’s Chrome OS environment. However, the process can be tricky, and it depends on your hardware’s design and Google’s whims. It is somewhat similar to running Android apps on your Chromebook, but the Linux connection is far less forgiving. If it works in your Chromebook’s flavor, though, the computer becomes much more useful with more flexible options. The original concept for the Chromebook was to tap into the Google Chrome browser to handle everyday computing chores that most users did in a browser on a full-size computer anyway. You know — tasks that involve Web surfing, emails, basic banking, reading and writing online. The software tools were built in, so massive onboard storage was not needed. 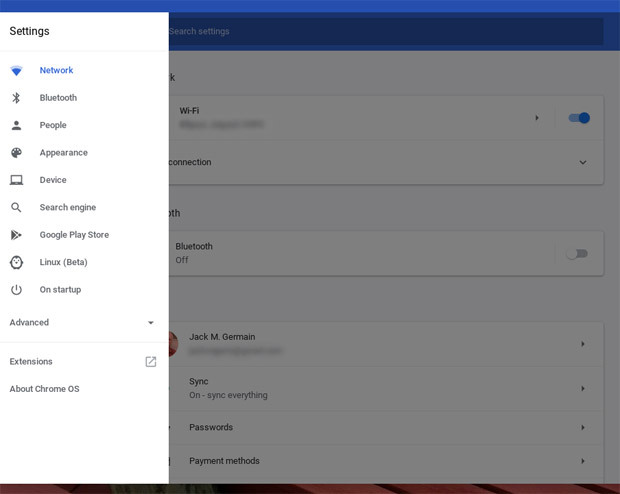 The always-connected Chromebook was tethered to your Google Drive account. Chromebooks ran the Chrome browser as a desktop interface. Google’s software infrastructure was built around Google Docks and Chrome apps from the Web Store. Either way, the ability to run Linux apps on a qualified Chromebook expands the computer’s functionality. In my case, it lets me use Linux productivity tools on a Chromebook. It lets me use one computer instead of traveling with two. Running Linux apps on qualified Chromebooks is not Google’s first attempt to piggyback the Linux OS onto Chromebook hardware. Earlier attempts were clunkier and taking advantage of them required some advanced Linux skills. The Crostini Project is the current phase of Google’s plan to meld Linux apps onto the Chrome OS platform. The Crostini technology installs a base level of Linux to run KVM, Linux’s built-in virtual machine (VM). In an ideal computing world, Google would push the necessary Chrome OS updates so all compatible units would set up Linux apps installation the same way. Google is not a perfect computing world, but the Chromebook’s growing flexibility makes up for that imperfection. Even with Chrome OS 69 or newer installed, other factors determine your Chromebook’s suitability to run Linux apps. For example, Linux runs on Chromebooks with an operating system based on the Linux 4.4 kernel. Some older Chromebooks running Linux 3.14 will be retrofitted with Crostini support. Others will not. According to Google’s documentation notes, any Chromebook outfitted with the Intel Bay Trail Atom processors will not support Linux apps. That seems to be the reason for my Asus C302CA failing the Linux suitability test. If you get a message saying that vmc is not available, your quest to put Linux apps on that particular Chromebook is over.You can skip the crosh test if you do not see “Linux (Beta)” listed on the Chrome OS Settings panel (chrome://settings). Linux will not run on your Chromebook, at least not until Google pushes an update to it. If you do see “Linux Beta” listed below the Google Play Store in the settings panel, click on the label to enable the rest of the process. If your Chromebook supports Crostini and is new enough, Crostini support already may be installed in the stable channel by default. In that case, change the flag in the Chrome OS [chrome://flags] on the Chrome browser’s address line to enable Crostini. If you have a recent Chromebook model with built-in Linux apps support, you will see “Linux Beta” listed in the left column of the Settings Panel [chrome://settings]. All you have to do is click on the label and follow the prompts to enable the Linux apps functionality. Next to “Channel” click the Change channel button and select either Beta or Developer. Then click the Change Channel button. Depending on your Chromebook model, either one could be what your hardware needs. I suggest starting with Developer channel. If that does not install the Linux Beta software, redo the process in the Beta channel. When the channel change operation is completed, click the “Restart your Chromebook” button. Scroll down the list to find “Crostini.” Type Crostini in the search bar. Select Enable. When that’s finished, type y to remove excess files. 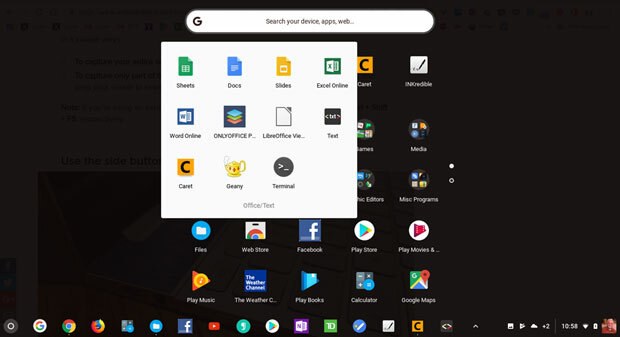 Press Enter.Now you are ready to download the Linux apps to make using your Chromebook more productive and more flexible. At least for now, you must open the Linux terminal window and enter APT commands to install or remove your selected Linux apps.